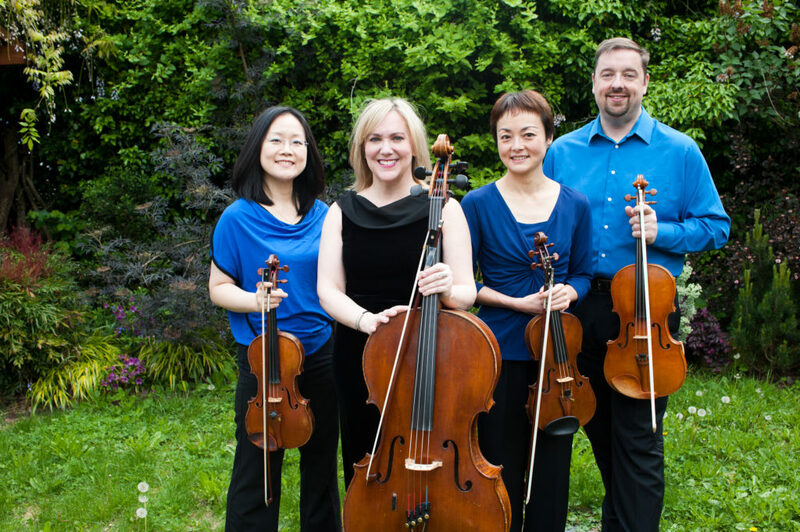 The Arnica String Quartet (Shin-young Kwon and Fumino Ando, violins; Charles Noble, viola; Heather Blackburn, cello) was founded in 2005 by four leading Portland musicians looking to explore the vastly rewarding repertoire for string quartet. Drawing from extensive experience as orchestral, solo, and chamber music performers, the Arnica Quartet is committed to performances of the highest quality. They have performed on concert series at the University of Portland, Parties of Note, Portland’s Old Church, Pacific University, Oregon Health Sciences University, Camerata Northwest, Astoria’s Liberty Theater, Camerata Musica, Classical Up Close, and Tacoma’s Second City Chamber Series.